Summary: Erickson Consulting Engineers, Inc. (ECE) provided coastal engineering services to evaluate the existing system and design improvements for circulation and flushing of a 9-acre boat basin in the Turks and Caicos Islands. 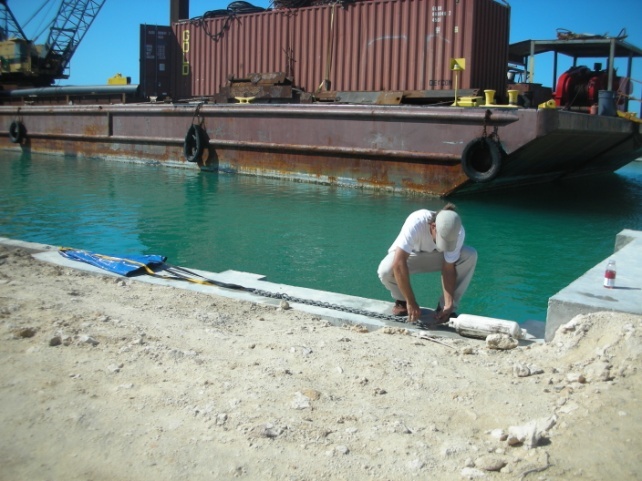 Site investigations included installation of Acoustic Doppler Current Profiler (ADCP) to record directional currents and water levels after the basin was constructed and to calibrate a numerical model applied to design a culvert/flap gate system to flush water from the basin. ECE conducted and calibrated simulations of water exchange and flushing within the basin using the ADCIRC numerical model to evaluate several alternatives. Based on these simulations, ECE designed and permitted a control valve and a flushing channel providing for a 90 percent exchange of water within five days. 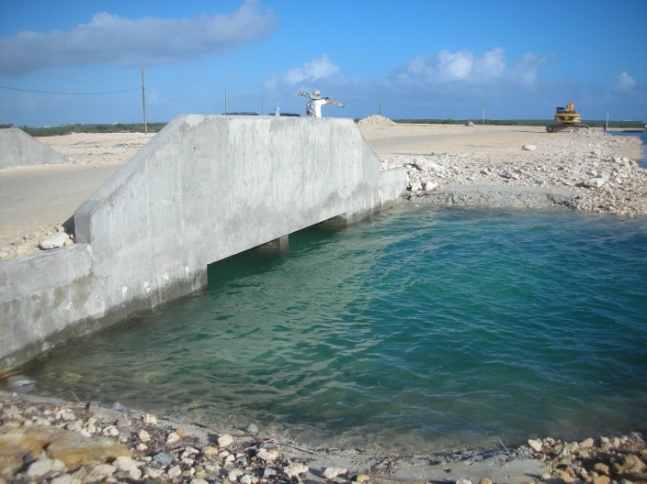 The flushing channel and culvert were constructed in 2008, after which, ECE performed a post-construction site investigation for the purpose of measuring and evaluating the flow rates and actual flushing time for the constructed channel and basin. Calculations documented that the actual flushing exceeded predictions. The post-construction site investigations included the installation and monitoring of tidal staff gauges and multiple drogue studies.